Voted Best Dance Studio in Williamson County for four years and Top 3 Dance Studio's since 2010 by the readers of Parent Magazine in their annual Best Of Parenting Poll. WE BUILD LIVES THROUGH DANCE, MUSIC AND INSPIRATION. Dance and music are fantastic ways to express yourself when words are insufficient. Dance & music can bring the feeling of joy, determination and passion. We provide the creative outlets to help children and teens realize their own abilities to better achieve their life dreams. Find out how you can get your child involved! 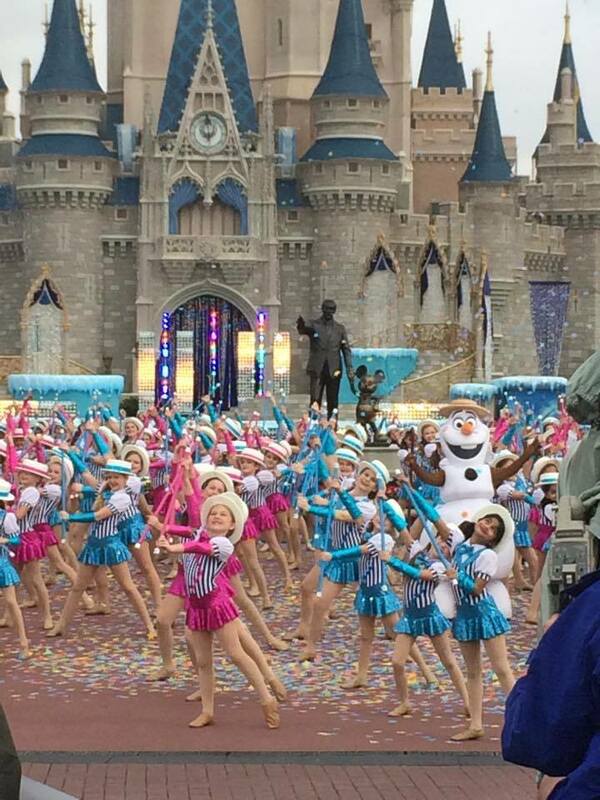 Elite Dancers performing at Disney World for the Christmas Day Parade televisedon ABC Christmas morning! Find out about our organization, mission, our methods, and the results of our passion. Ready to take the next step? You can sign them up now, or participate yourself.